This years Consumer Electronics Show in Las Vegas has brought us back to the somewhat curios topic of personal breathalyzers. For those who remember, back in 2006 we reviewed a series of breathalyzers with discouragingly inconsistent results. Fortunately, since then technology has progressed nicely in this estimated twenty-billion dollar industry and we thought it was time we reviewed the latest and greatest. On the top of our li st yet again at this year’s CES was KHN Solutions Inc. with their BACTRACK S750 Pro. Measuring in at 2.3 x 4.8 x 1 inches, it is only fractionally larger than your average consumer digital camera. While portable breathalyzers this size are nothing new, our previous testing has showed the smaller you go, the more inaccurate the results become. 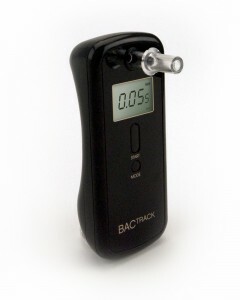 Yet, we are glad to report the BACTRACK S750 Pro paves a new trend in the size-to-accuracy arena proving itself as a very accurate and capable pocket-sized breathalyzer. Aiding its accuracy is its on-board Fuel Cell Technology, previously only available to law enforcement. 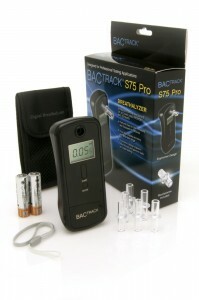 Unlike its predecessors, the BACTRACK S750 Pro does away with the typical semiconductor sensor for detecting alcohol, replacing it with a more sophisticated Xtend™ Fuel Cell Technology. This gives the unit an accuracy of +/- 0.005 at 0.1% B.A.C. It is also FDA 510k and US Department of Transportation approved and sports a nice size LCD display which can easily be read even when intoxicated. In the box you will find a nice carrying case and six removable/reusable mouth pieces. Aside from providing a sanitary washable surface, we found the mouth pieces do a nice job in alleviating any germaphobic thoughts that might be racing through you r head as your friends ask to give your Breathalyzer a try. One minor issue we did find came when trying to stow the six mouth pieces in the provided carrying case. There is simply not enough room for all six but two fit comfortably in the front pouch. The S570 Pro runs on two provided AA batteries and claims to last for approximately 1500 tests. For accurate results, you need to wait at least fifteen minutes after your last drink before testing. This ensures only the alcohol vapor being released in your lungs is tested, rather than the residual alcohol from your drink. 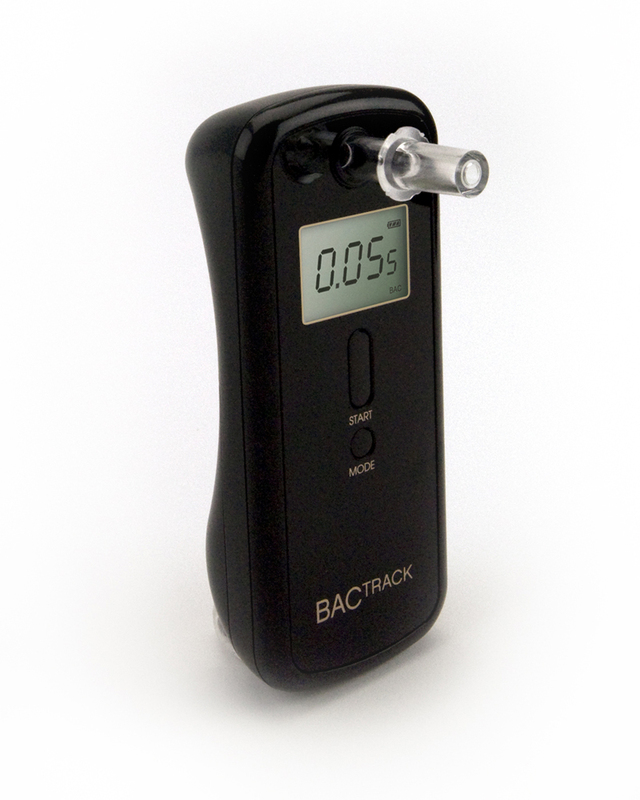 We were able to get the inside scoop from the folks at BACTRACK at this years CES and they will be releasing a new smaller model set to come out later this year. Keep an eye out for its full review on Tech Talk in Q2 2011.